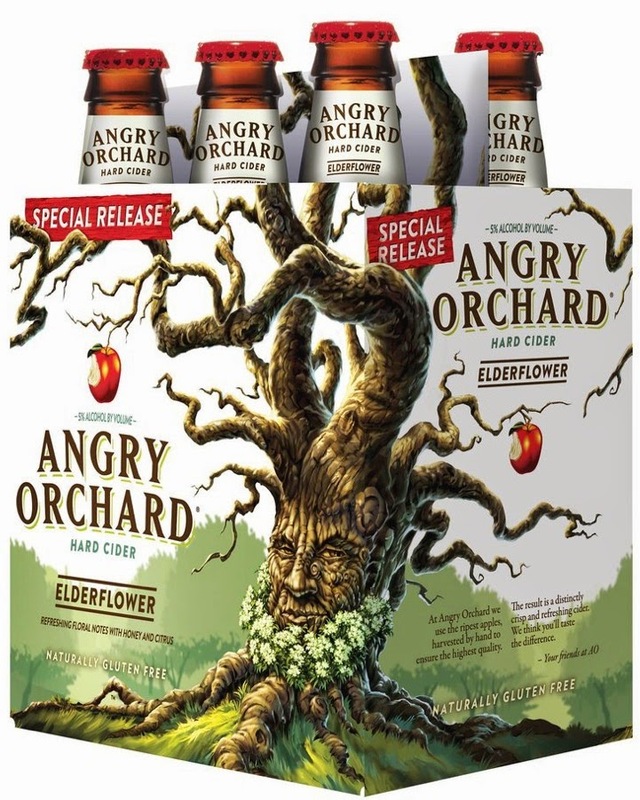 Last Fall, I admitted to being an Angry drinker, of Angry Orchard Hard Cider. I've continued this love through the winter and spring, and currently am in love with their Elderflower cider. It is so different and unique. It's not overwhelmingly flowery, but also does not have the tart crispness or sweetness of other ciders. If you have a chance to try one, I heartily recommend it. Also, if you are planning on hosting a little get together on the 4th, perhaps add some to your bar selection. While you're at it, pick up a bottle of Muse. It's a fruity cider-champagne and is absolutely perfect on a hot day. Can't find either? You could try to make your own. Get your favorite hard cider then add some elderflower liqueur to taste. I've tried both Thatcher's and St. Germain. Both were good, but Thatcher's is a little easier on budget. Love, love, love AO!!! One of my favorite drinks is the Crisp Apple with a shot of Fireball. But I keep looking for the Elderflower and can't find it anywhere. I did manage to pick up a bottle of Muse though, I just haven't wanted to crack it open until a special occasion. Where's you find the Elderflower? I've gotten it at BevMo & Target. I think Total Wine might have it too. I wish I'd been thinking I would have grabbed some of the Cinnful too, so I could serve red, white, and blue bottles today.